Having an odd number of toes. The order Perissodactyla includes mammals that stand on an odd number of digits, usually one toe or hoof. For example, horses stand on one digit, rhinoceroses on three. Having four digits (fingers, toes) on a limb. Many amphibians and birds are tetradactyl. Having three digits (fingers, toes) on a limb. e.g. rhinoceros, hipparion (ancestor of the modern horse), and emu. Having two digits (fingers, toes) on a limb. e.g. two-toed sloth, cattle, sheep and deer. Having one digit (finger or toe) on a limb. Having an even number of digits (fingers, toes). 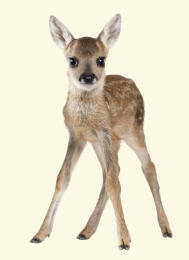 The order Artiodactyla includes mammals that stand on two toes or (exceptionally) four toes. 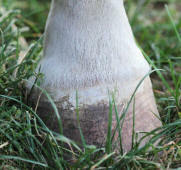 Cattle, sheep, deer and camels, for example, stand on two toes, pigs on four (but only when standing on soft ground).